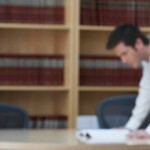 The Guernsey Bar Course is run by the Institute of Law on behalf of Law Guernsey. Please choose 2 optional modules to be taken alongside the Baillif's paper and the Professional Conduct and Ethics modules. The fees are £2000 per course. The information you provide will be processed for the purpose of administration, careers guidance and statistical analysis. To ensure confidentiality and privacy, all processing will be carried out under the requirement of the Data Protection (Jersey) Law 2005. The Institute of Law will share the information you give with Law Guernsey who has commissioned the Institute of Law to provide the tuition. The Institute of Law may also enter into data sharing agreements with other parties as necessary for the above purposes. 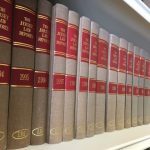 If you would like to know more about this, please contact the Institute of Law. Should you require us to seek your individual consent to these disclosures,please advise us in writing at the following email: manager@loi.je. The Institute of Law & Law Guernsey may occasionally wish to send you information by email relating to other activities of the Institute of Law that may be of interest to you (such as COP sessions, lectures, conferences, etc.). Please opt in above if you are interested in receiving such emails. If you are already qualified to practice is Guernsey but would like to study one or more module independently.